Want to play the lottery with the biggest prizes in the world? Then, Mega Millions is the game for you! For every single draw, jackpots are at least $40 million! That is a good reason to play Mega Millions online, and it gets better from here! $40 million is only the starting amount for the first prize. Every time there is no winner, the Mega Millions jackpot gets even bigger. The current record is a whopping $1.537 billion, which was awarded on October 23rd, 2018. 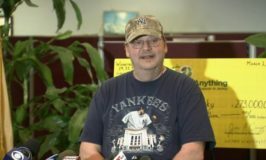 This is the second-largest jackpot in the world, and the biggest lottery win on a single ticket. It was claimed by one very lucky player from South Carolina who decided to remain anonymous. The game is available in 44 US states, Washington DC, and the Virgin Islands, but you can play it online from anywhere in the world! Mega Millions began as the Big Game, whose first drawing took place on August 31, 1996. The big game was sold in only 6 states and was drawn once a week on Friday. In 2002, the Big Game became the Big Game Mega Millions. On May 17, 2003, the first Mega Millions draw took place. 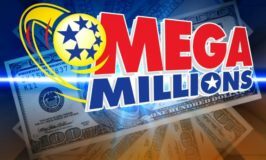 Mega Millions has gone through a name change and a few format changes along the way, but today, the rules for how to play Mega Millions are quite simple. It’s possible to play Mega Millions alone or with a group as part of a Mega Millions syndicate. Players can choose their numbers anyway they’d like, including Quick Pick, Mega Millions hot numbers or cold numbers, or any variety of lucky numbers. 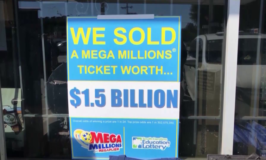 In any case, once a player has their Mega Millions ticket, they’ll want to tune in to see the Mega Millions results to check if they’re a winner. In 2002, lottery messenger service theLotter revolutionized US Mega Millions by making it possible for anyone in the world to play online with an official entry. TheLotter allows players to fill in their Mega Millions forms online and purchases an official entry matching the online selection. International players have played online and won millions ever since. Try it for yourself, play Mega Millions online with an official entry today!